Such services may be in connection with any recognised constructional material (e.g. concrete, steel, masonry, timber) associated with Building and Civil Engineering. 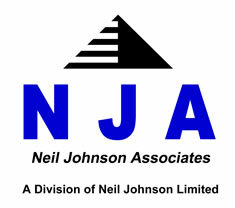 Neil Johnson Associates can compile a complete design and project management package for the preparation of a single scheme tailored to the Client's requirements. The Client appoints a design team selected and managed by Neil Johnson Associates. Thereafter he deals with only one organisation that provides independent, impartial control from conception to completion of the project. Hence his own involvement may be minimised. An independent design team is assembled to suit each individual project with external consultants supplementing the practice's in-house designers where necessary. Only reputable consultants with adequate Professional Indemnity Insurance will be selected for engagement.